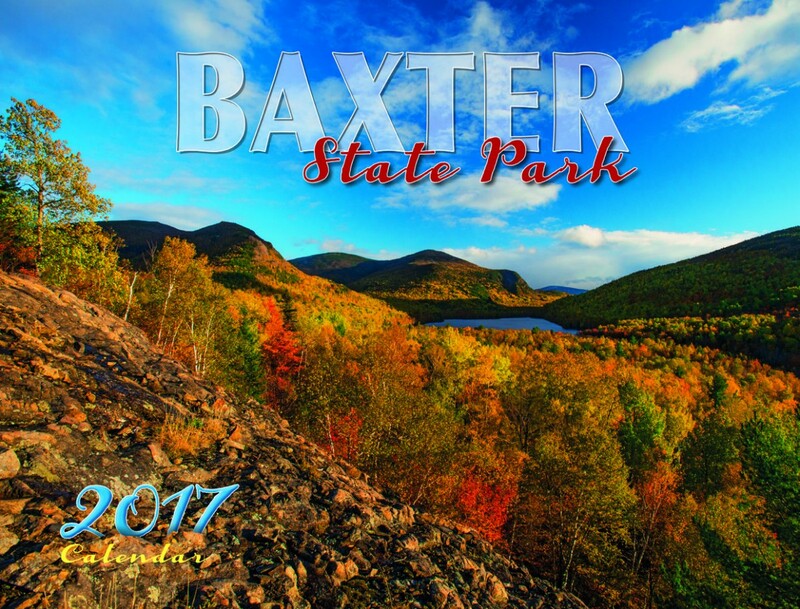 Friends publishes the annual Baxter State Park calendar in partnership with Baxter State Park and Maine Scene, a family-owned business in Union, Maine. The calendar features photos taken in the Park during all twelve months of the year. Calendars are available for purchase in our store, and at retail outlets throughout Maine. 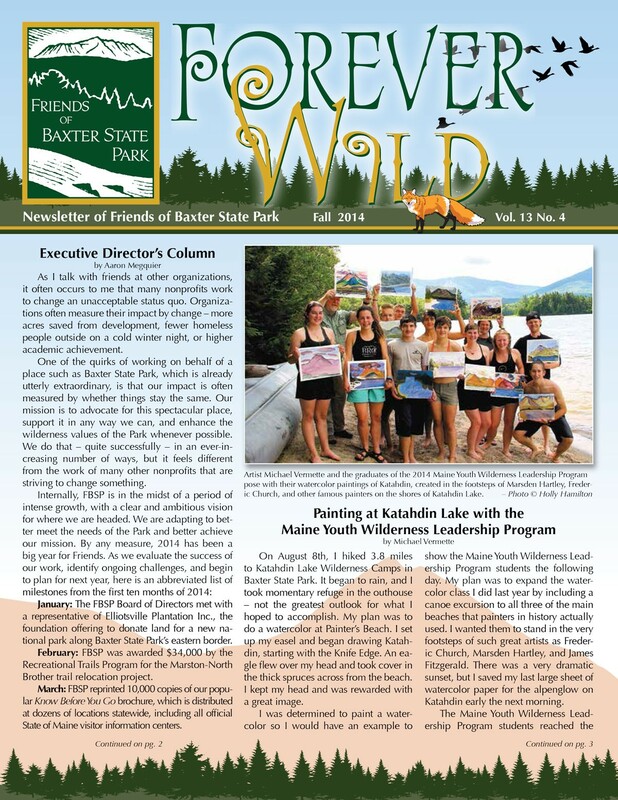 Forever Wild, our newsletter for members, is a quarterly publication with a print circulation of about 1,200, and an electronic circulation of 800. 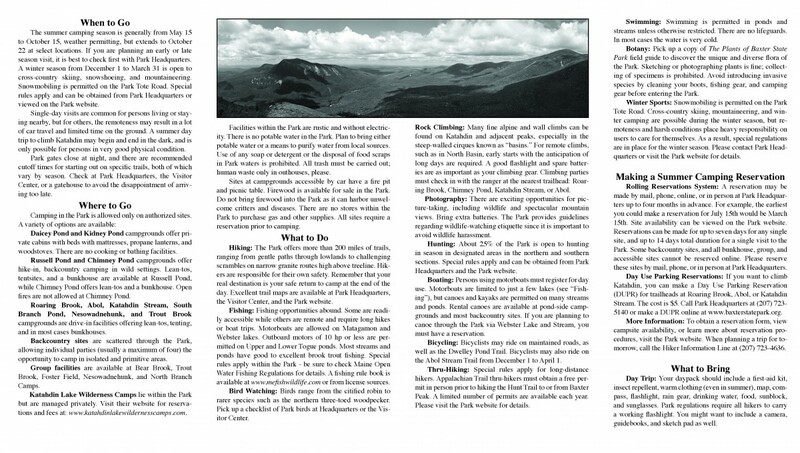 Each issue contains updates on Baxter State Park, upcoming events and activities, photography, letters to the editor, trip reports, and more. The current editor is Richard Klain. To subscribe to Forever Wild, become a member of Friends of Baxter State Park. Forever Wild is also available in limited quantities at our network of distribution locations in the Katahdin Region. We also maintain an online archive of Forever Wild back to the first issue in 2002. Maine’s Baxter State Park is one of the most ecologically diverse and beautiful protected sites in the Northeastern United States. The Plants of Baxter State Park presents scientific descriptions of 857 plant species. This extensively researched guide also includes useful keys, illustrated plant-family sections, an informative introduction, a glossary of botanical terms, an extensive index of scientifc and common names, and over 2,000 full-color photographs. 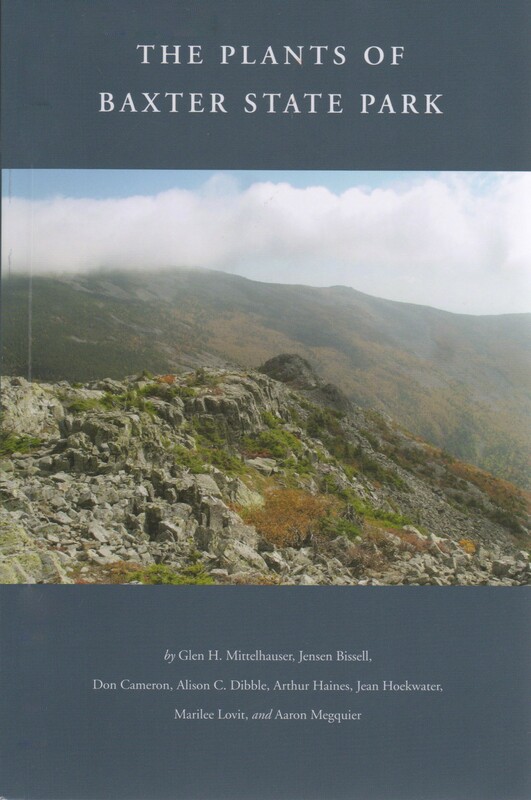 This book was published on August 23, 2016 by the University of Maine Press, in association with Friends of Baxter State Park, Baxter State Park, and the Maine Natural History Observatory. 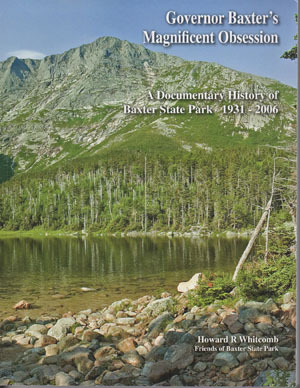 Governor Baxter's Magnificent Obsession is an essential reference work for anyone interested in Baxter State Park. 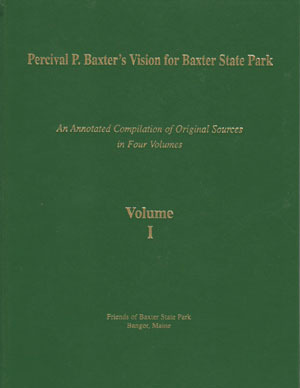 This volume features an excellent historical essay on the creation of the Park, the complete Deeds of Trust, documentation on land acquisitions after Baxter's death, maps, and useful annotations throughout. 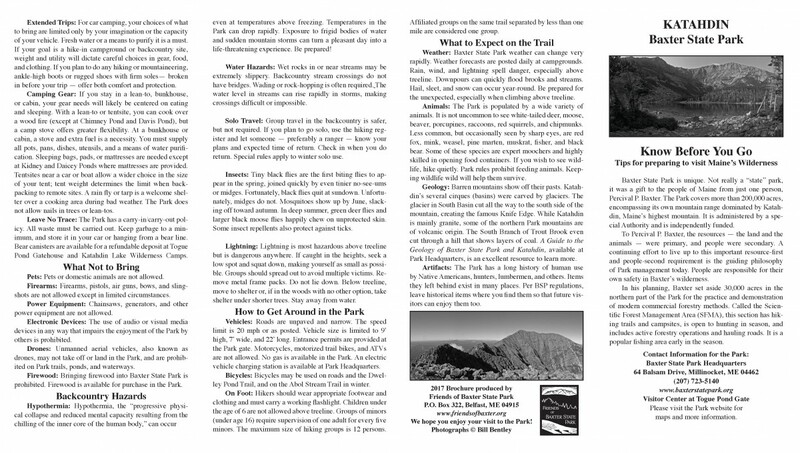 Published by Friends of Baxter State Park, 2008.